Visiting Maui goes far beyond relaxing on the beach or bathing in the many waterfalls. If you want an authentic local experience, you have to find the spots and experience true Hawaiian traditions! One of the best cultural aspects you cannot miss is the food. In this blog, we’ll tell you more about this delicious dish and where to find the best Loco Moco on Maui! Read on and make sure to take notes as we help you create your culinary itinerary. Elevate your trip to the next level with the help of our free Destination Guide! This amazing planning tool helps you locate the top restaurants on the island as well as quaint shops, museums, events, and fun outdoor adventures. Loco Moco (loh-koo moh-koo) is Hawaii’s original homemade fast food. This famous dish is the ultimate comfort food and consists of a hamburger laid over a mountain of white rice topped with a sunny-side-up egg and a delicious gravy sauce. Where Can You Find Delicious Loco Moco on the Island? You have to try Loco Moco when you visit Maui, but you’re probably wondering where to find a delicious, authentic version of the dish. Lucky for you, we’ve already answered that question. Take a look below and learn where to find the best Loco Moco on Maui! Ask locals and they will all tell you the same thing: Kihei Caffe is by far one of the best breakfast spots on the island, so of course, they serve some of the most delicious Loco Moco available! The restaurant opens at 5 a.m. and allows diners to order breakfast all day long. You’ll love their juicy Loco Moco with a tomato on the side. We recommend asking for a freshly squeezed orange juice to go with it! Da Kitchen is a great place if you’re looking for island-style food in a modern atmosphere. It’s been a local favorite for twenty years and serves two mouth-watering versions of the Loco Moco: the Notorious B.I.G Moco with chili, which is mad eup of two eggs, mushrooms, onions, spam, cheese, bacon, Portuguese sausage, and fried rice. For a less traditional version of the dish, order the Da Kine Moco with Teri chicken, teriyaki beef, fish tempura, two eggs, mushrooms, and white rice. Nalu’s South Shore Grill offers a laid-back atmosphere and a classic Loco Moco you can enjoy before heading to the beach. The patty is locally sourced and comes with brown rice, homemade gravy, two eggs, and Molokai black lava salt garnish. You also get a mac side salad with your order! 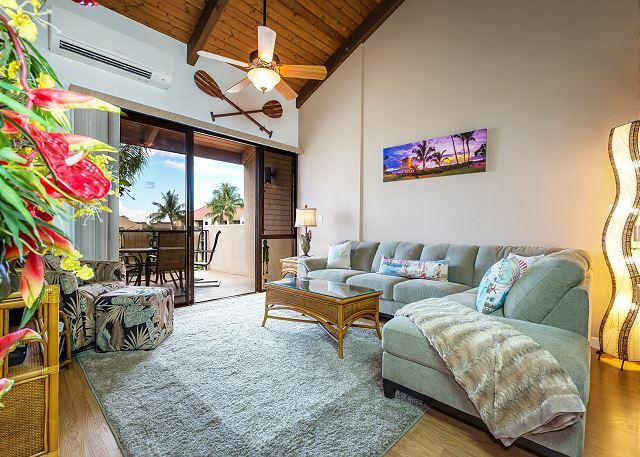 There’s nothing better than being miles away from daily life yet still feeling at home, and that’s exactly how we want you to feel at PMI Maui! 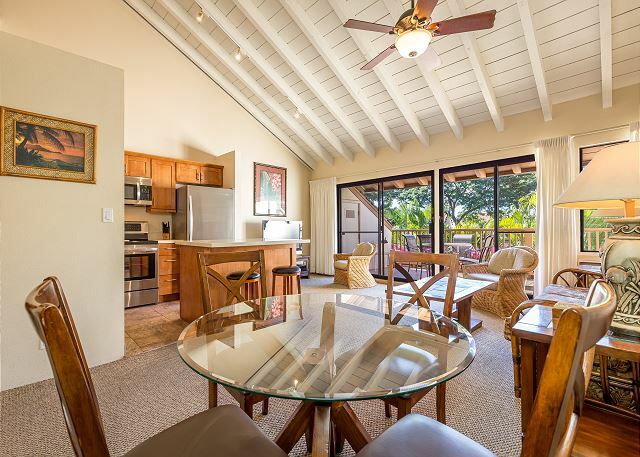 When you select one of our rentals, you’re not just visiting Maui, you live here! Get a unique local experience surrounded by modern comforts and gorgeous amenities. Browse our properties to find the one you love the most. Enjoy a fun trip with your friends and loved ones in the Kamaole Sand Unit! 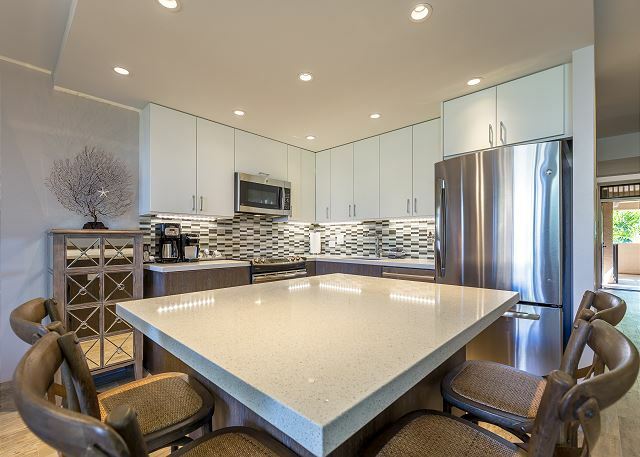 This gorgeous two-bedroom condo can sleep up to six people and is located in Kihei, which gives you access to a variety of fun activities within walking distance. 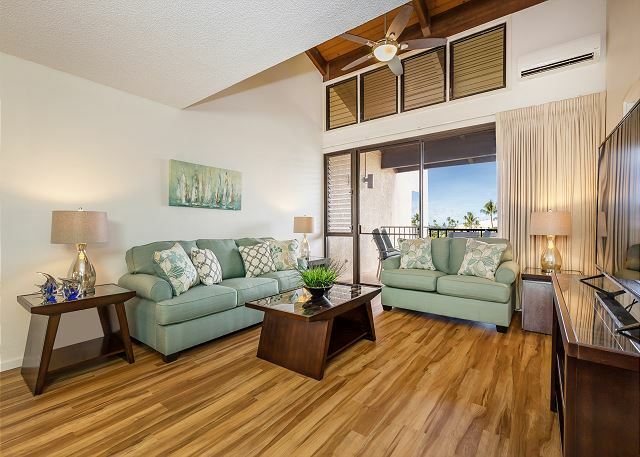 You’ll love the condo’s earthy decor with a white beam ceiling, cozy beige carpet, and a spacious deck overlooking beautiful resort gardens. 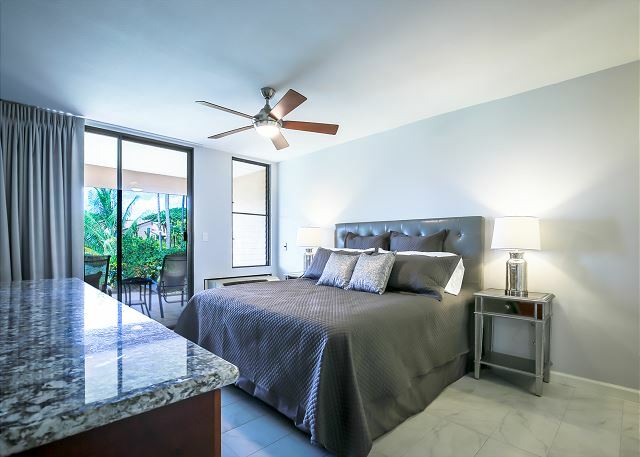 On top of modern amenities such as WiFi, a flat screen TV, washer, dryer, and a fully equipped kitchen, you also have access to the resort’s tennis courts, hot tubs, and beautiful pools. The Ultimate Bucket List for the Best Spring Break on Maui — What Can You See on the Road to Hana?